Walnut Canyon national monument is located southeast of the city of Flagstaff, Arizona. More than seven hundred years this place was inhabited by people - they lived in homes built by themselves, but also in cave dwellings built deep in the rocks of the canyon itself. Plenty of water in a very dry area made the canyon a rare and valuable place for its inhabitants. To this day it is a wonderful place to live for many types of plants birds and animals. Walnut Canyon national monument was established by President Woodrow Wilson in 1915. The purpose of the monument is to preserve the descendants of the ancient cave dwellings. The area of Walnut Canyon national monument covers an area of over 3600 acres. Walnut Canyon’s name comes from the Arizona walnut, which grew from ancient times at the bottom of the canyon. The rim of the canyon rises two thousand and forty feet high. The territory of the canyon has different in size cave dwellings created by the Sinagua - a tribe that inhabited the canyon from 1100 to 1250 AD. They mysteriously disappeared, according to some historians, they have done so because they feared the arrival of new tribes, but this is not proven with certainty. After Sinagua disappeared from the area, they left behind more than eighty cave dwellings. They were relatively small, but sufficient to allow their residents to not only sleep in them, but also to cook meals for the whole family. 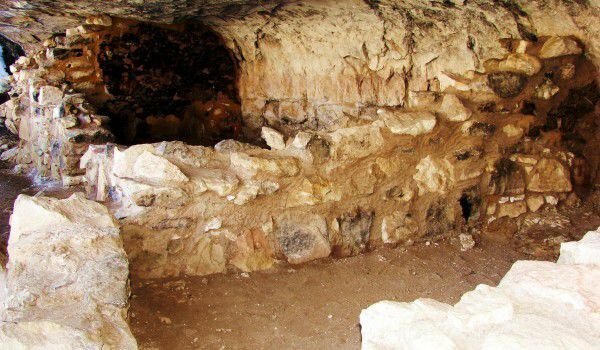 Most homes are a cave room with a height two meters, three meters wide and six meters in length. Usually, only one family such a room inhabited. There are many cave dwellings that can not be seen by visitors. Entering the canyon is absolutely illegal under the rules of the park. Most caves were carved from limestone formations by the Sinagua. Walnut Canyon national monument is in the National Register of Historic Places. There are paths for tourists, who can see closely some of the cave dwellings where the Sinagua lived. The territory of Walnut Canyon national monument has Walnut Creek flowing through it, which empties into the Little Colorado River, then flowing to the Grand Canyon.